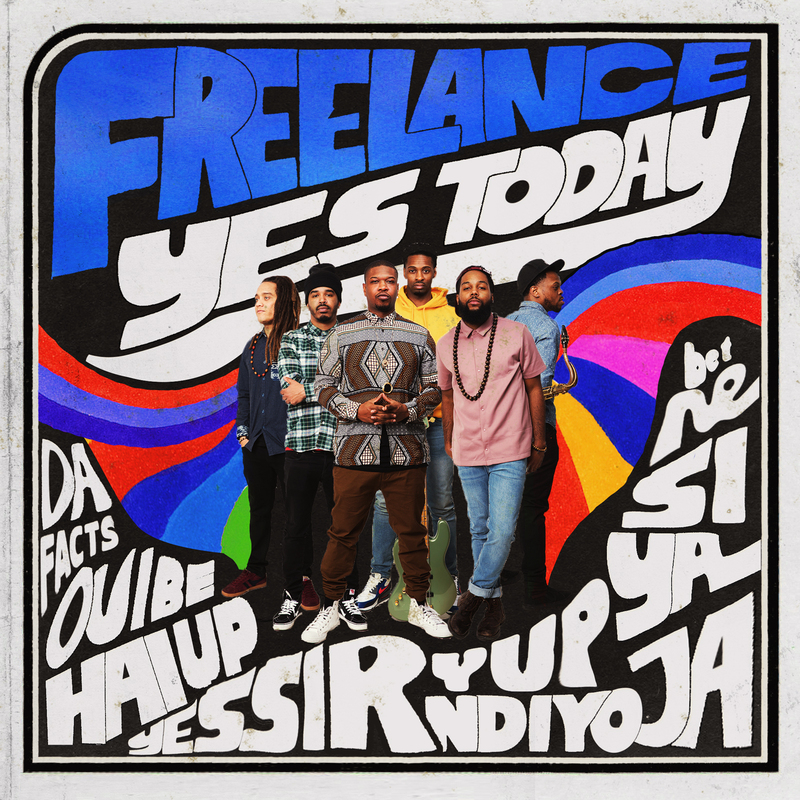 Freelance features an all-star lineup of musicians that regularly accompany Grammy Award winning artists such as Robert Glasper, Solange, Estelle, Esperanza Spalding, Terence Blanchard, Bilal, Terrace Martin, Lalah Hathaway, and more. Comprised of founding leaders Smithsoneon (vocals) and Ausar the Ambassador (keyboards) along with CraigHill (saxophone),Yasser Tejeda (guitar) and David “Dj” Ginyard (bass) and Justin Tyson(drums), Freelance’s sound is born from the sonic footprints of Mint Condition, Earth Wind and Fire, Stevie Wonder, Radiohead, and Robert Glasper. The release of Yes Today marks REVIVE Music’s launch of its independent label division. “…To launch this venture with such brilliant musicians and songwriters is exactly the path to take the REVIVE Music Group to places unimagined. We are so proud to be a part of bringing this great project to the world via our platforms.” says industry veteran and EVP of REVIVE Music GuyRoutte. To date, REVIVE has released three albums under its imprint with BlueNote Records which has featured an astonishing array of featured artists which include Otis Brown III, Bilal, Gretchen Parleto, Derrick Hodge, Marcus Strickland, Meshell N’Degeocello, Keyon Harrold, Brandee Younger, Casey Benjamin, Raymond Angry, Justin Brown and many more. Their 2015 RCA Nina Simone Revisited partnered release produced byRobert Glasper featured artists Lauryn Hill, Usher, Mary J Blige, Gregory Porter, Common, Alice Smith, and more. Revive Music launched in 2006 as a boutique live music agency that specializes in producing genre-bending, creative-concept live music shows that tour worldwide with the purpose of educating and inspiring audiences about artistic and authentic forms of music. In effort further provide an advocacy platform for musicians, Revive launched the leading online journal for the burgeoning jazz community dedicated to their musicianship, artistry and creative expression as a part of Okayplayer.com in 2010 and in 2013 launched their label imprint on Blue Note Records, signing some of today’s most gifted and progressive jazz artists.